A fungus has been found living inside the nuclear waste of Chernobyl power plant in Ukraine. Not only does the fungus survive gamma radiation, it seems to thrive on it! And the best news yet is that it uses the radiation up, neutralizing it in the process and possibly even converting the radiation into energy. The researchers suggest that the fungus may be able to change gamma radiation into nutritious chemical energy using melanin-pigment on its skin. Melanin is the tan, brown or black colour on human skin, and it is also present in foods, such as chaga mushroom. "... the presence of melanin in the cells gives them a distinct advantage over non-melanised cells, in terms of better growth [with radiation]", said Prof. Ekaterina Dadachova, a nuclear chemist who lead the study at the Albert Einstein College of Medicine, New York. The team looked to the example of photo-synthesis as a model, explained Arturo Casadevall, a microbiologist who worked on the project. If plants can use the green pigment (chlorophyll) to convert sun energy into a usable from of chemical energy, fungi might be able to use their melanin pigment in a similar way to convert nuclear radiation. The team called this hypothetical process 'radiosynthesis'. But even without melanin many fungi are intrinsically radiation-resistant. And there are some questions about further research needing to be done before drawing conclusions. However, David Biello writes in the Scientific American: "Like plants that grow towards the sun, dark fungi, blackened by the skin pigment melanin, gravitate toward radiation in contaminated soil. Scientists have observed the organisms - somewhere between plants and animals - blackening the land around the Chernobyl Nuclear Power Plant [...] 'Organisms that make melanin have a growth advantage in this soil,' says [...] Casadevall [...] 'In many commercial nuclear reactors, the radioactive water becomes contaminated with melanotic organisms.'" Prof. Dadachova states in her Faculty Profile on the Albert Einstein College of Medicine website: "We have discovered that a naturally occurring pigment melanin is capable of dissipating incoming radiation photons and catching damaging free radicals thus minimizing the radiation damage. We are developing melanin based radioprotectors such as melanin nanoparticles for bone marrow protection and melanin-containing foods for protection of the gastrointestinal tract." (1) Plosone.org: "Ionizing Radiation Changes the Electronic Properties of Melanin and Enhances the Growth of Melanized Fungi", 23rd May 2007. 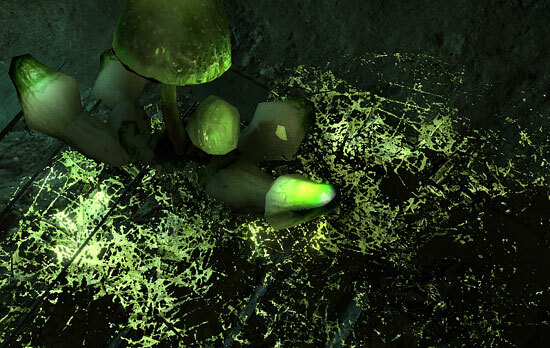 (2) Scientific American: Do Fungi Feast on Radiation?